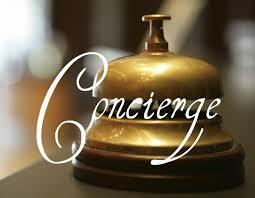 A Concierge is someone who assists guests/visitors with various tasks, such as helping with information relating to Accommodation, tours, restaurants, walks, bars, places of interest, and general inquiries, in this regard we have created our own Concierge Service, simply e-mail your question to the e-mail address above, we will respond very quickly and offer you the best advice possible. Our Concierge Service is manned 7 days per week by people with both national and local knowledge, if you have a question about Dublin or IRELAND simply ask. Is Gardiner Street Dublin a safe area? Is there a bar in the Maple Hotel? Yes, the Maple Hotel is home to Ned Keenan’s traditional Irish Pub, where you can enjoy live music Thursday, Friday and Saturday. Sunday night is Trade Night where you can enjoy the company of hospitality staff from Dublin who relax and enjoy some down time. Can I get a Pizza delivered to my hotel room in Gardiner Street? Is there Salsa Dancing in Dublin? Is there a Tourist information point in Gardiner Street Dublin? Yes, Globetrotters Hostel as a dedicated Tourist Information Desk? Are there Day Tours from Dublin City Centre? Is there a place for a few lads to play darts, pool, watch sport in Gardiner Street? Is there a city centre location for tour groups, schools, and so forth? 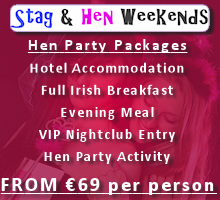 Is there a budget Stag and Hen Party venue in Gardiner Street? Is there a FREE public play area for families/children in Gardiner Street? Is there somewhere that an individual or family could purchase sandwiches/cakes for a picnic? It is our son’s birthday, is there anywhere that we could buy a birthday cake for him? Can you recommend somewhere for a birthday party? This week, I meet a tourist arriving from America, great guy, unfortunately he had taken the wrong suitcase from Dublin Airport. I said don’t panic, I contacted Dublin Airport, gave them the name of the guy who had taken the wrong suitcase and the number on the suitcase tag. Immediately Dublin Airport informed me that a lady, also travelling to Ireland from America had reported her suitcase lost. Immediately we arranged for an exchange of suitcases at Dublin Airport, no problem, don’t panic. It will not always be that easy, but sometimes, just taking details and contacting the right people can solve problems very quickly. While on holidays you’re relaxed, your guard is down and you’re on unfamiliar territory, often contending with a foreign language as well – no wonder we make simple mistakes and lose things, but that does not have to spoil the holiday experience. The rise of the internet makes it easy to find holiday accommodation overseas but it can be a minefield, meaning Booking Direct with individual Hotels and Guesthouses is the best option. Though it can be a great way of finding hidden gems, there’s been an upsurge in problems for people booking through OTAs (online travel agents) most OTAs do not have up to date pictures or even information about the properties that they are vending and often guests are not getting the best value for their money as some Hotels and guesthouses offers additional extras such as free breakfast and so forth. 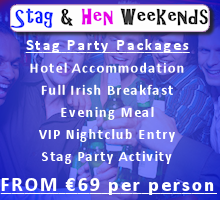 A typical example is a group of two adults and two children booking three nights in Dublin, the booking can cost up to €120 more on an OTA when such items as FREE breakfast are included on the Hotels own website but not the OTA, discount tours and events are also missed on the OTA, multi-night discounts can be missed and so forth. It is always better to book direct on the Hotel or Guesthouse website rather than an OTA that is most likely based in another country and has limited local knowledge. When you BOOK Direct on a Hotel or Guesthouse website, you are guaranteed the best rate (including all multi-night discounts/advanced booking discounts and so forth), you enjoy special offers such as FREE breakfast, you enjoy discount vouchers for events/tours and so forth, you enjoy FREE draws and give-aways, so don’t be caught short by far-away OTAs. Nobody wants to come home to a massive mobile phone bill, but every year consumers get hit by bills reaching hundreds of euro – or more – particularly for surfing the internet. Switching data roaming off in the Settings menu on your phone is vital to avoid price shocks – particularly if you’re handing it over to the kids to play on – while it makes sense to download movies or music you want before your holiday. If you can’t live without the internet abroad, always try and find a wi-fi option, in Gardiner Street Dublin most Accommodation vendors have FREE Wi-Fi. This entry was posted in Tourist Concierge Dublin and tagged Concierge, Concierge service Dublin, Tourist Concierge Dublin, tourist information. Bookmark the permalink.